We’re not going to get into why a good credit score matters. After all, those three little numbers that make up your score is what mainly influences your ability to get a loan on good terms, for the amount you need and with low rates. That being said, it’s not often easy to determine precisely what a good credit score actually is. That’s because there are a lot of factors which affect the makeup of your credit rating, as well as different scoring models (i.e. ways of analyzing the score). 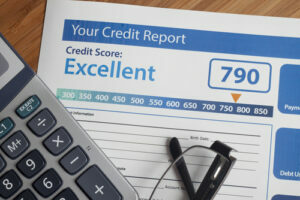 There are several credit scoring models which lenders have at their disposal. To boot, each credit institution will calculate their own credit scores, which makes the matter of range very important. That’s because all you get is a set of three figures, which doesn’t tell you where you stand, in terms of how good or bad your rating is. The FICO score range, for instance, goes from 300 to 850 points, while the Equifax credit score goes from 280 to 850. The range is 501 to 990 on the 1.0 and 2.0 VantageScore scales, while for VantageScore 3.0, it’s 300 to 850. The PLUS Score ranges from 330 to 830, while on TransRisk you can score from 100 to 900. As you may have intuitively figured out on your own, the higher you rank on the above scales, the better your score is. A higher score will make you appear like less of a risk in the eyes of a potential lender, which, in turn, will make it more likely for you to get a credit approved, with good rates, as well as secure better insurance rates and discounts. Don’t discount the differences in credit score ranges explained above, because they matter to a great extent. For instance, scoring 830 on the FICO score is great, a nearly perfect number. At the same time, credit score ratings of 830 on the TransRisk range is not as good (since the maximum is 900). Although, as explained above, there are range differences between the various credit scoring models, by and large, most models work with the 301 to 850 points range, including the often used FICO credit score model. With that in mind, it’s safe to say that scoring below 500 points will give you bad credit. Poor credit ranges between 501 and 600, an ok credit rating (fair) is between 601 and 660, good credit ranges upward of 661, to 780, while excellent credit is anything in the range of 781 to 850 points. This, in and of itself, doesn’t tell the whole story on how to get a good loan approved, since the different lending standards practiced by various credit institutions also come into play. A lender with a more relaxed credit approval policy will green light loans for applicants with credit scores over 680, while a more exigent one will only approve loans for candidates that score 750 points and higher. Similarly, they might approve all loans for applicant with credit scores over 650, but apply better rates for those who score above 700 points. Paying your bills on time and being diligent with repaying previous loans is a good idea, but it’s no guarantee of a good credit score. The only way to know just how you score in terms of credit ratings is to check. There are several websites out there which offer free credit score reports each month, but we recommend you go the official way and apply for one of the three annual credit score reports, from Experian, EquiFax, or TransUnion. The easiest way is to go to www.annualcreditreport.com.